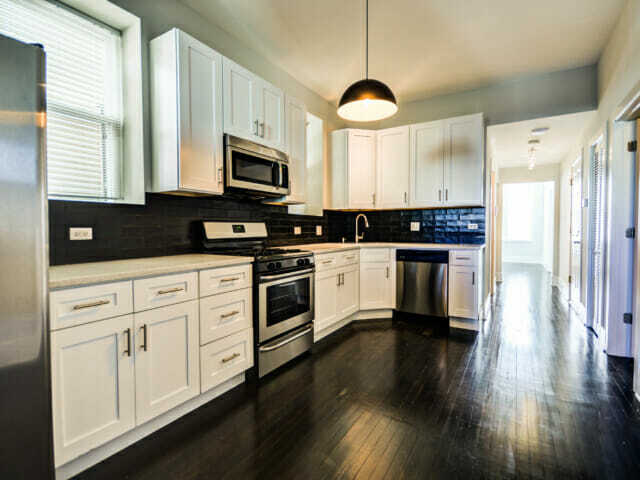 This 3 unit plus 2 unit coach house were gut rehabbed to condo-quality in 2016 in desirable Pilsen neighborhood. Units feature brand new kitchens with stainless steel appliances, shaker cabinets, and granite counter tops. The bathrooms are very tastefully done with all new cabinetry, lighting and beautiful tile throughout. In addition, there is a large secure private storage room in the basement. 1724 W 21st St, Chicago, IL 60608 is close to everything! Just a few blocks from the 18th Street CTA Pink line, restaurants, cafes, coffee shops and local boutiques. Easy access to Chicago’s Loop, the West Loop, Fulton Market, UIC and the Illinois Medical District.